Nama Sakana ?????? ?, when interpreted in Japanese, literally means raw fish, a name which perfectly suits them for they serve only the best sushi in the Metro. 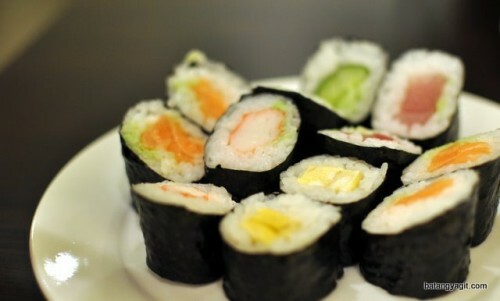 In Japan, a good chef is characterized by its skill in making Sushi. 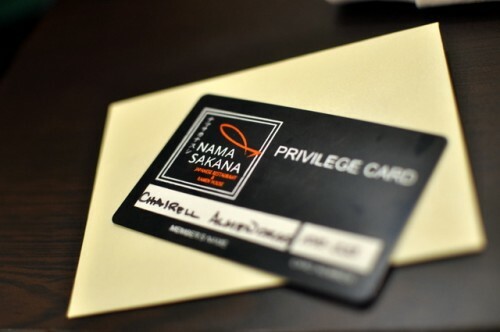 That’s why Nama Sakana chose to have the best and skilled chef in making Japanese Ryouri, Chef Rolly Ongcoy, who is a renowned chef in United States, Europe and Australia. 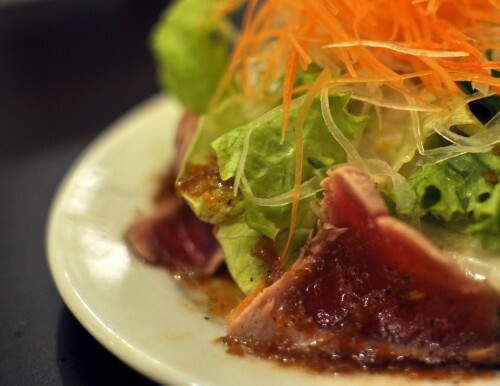 For starters, we were served with this Sashimi Salad ? a mixture of seared tuna, salad greens and vinaigrette dressing. 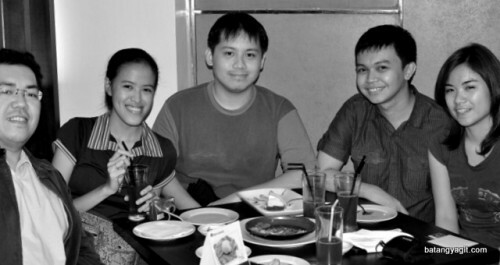 The Patay Gutom Bloggers, (LtoR) Fitz, Mica, Jehz, Winston and Maki. This entry was posted by Winston Almendras, who has written 6 posts as nitrosaint, on Saturday, July 18th, 2009 at 1:42 am and was filed under Restaurant. ang sarap nyan wah.. nagugutom tuloy ako..ang aga2x pa naman.. hahaha..gustong mag foodtrip weh! How about ang ganda ng mga pictures na kuha mo?! Wah. jan lolipop ang laman ng ref. sarap! sarap! sarap Talaga! aha! Sarap talaga ng mga pagkain ng mga patay gutom! More power to the PG Team! There are many Japanese restaurants in Metro Manila and I’m sure everyone’s question iss “where is the best”? Well, Japanese cuisine is very diverse and it could be categorized into so many different kinds, so I can’t answer such a broad question. However, what I can say is that an authentic Japanese restaurant will not name its own a silly name like NAMA SAKANA… Yes, it could be translated as “raw fish” in a short term, but it actually means more like “fish that is raw”. Talking about silly Japanese restaurant names, banner/logo of TERIYAKI BOY had a Japanese caption that literally means FAT BOY. 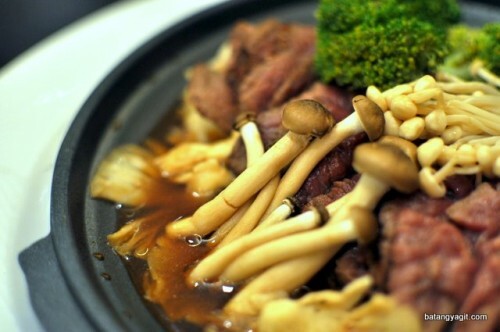 There are many authentic Japanese restaurants in Metro Manila. I hope all of you would check them out and taste the “real” Japanese dishes. Believe me, I’m a Japanese living in Makati.